‘Alita: Battle Angel’ Has Only Got Eyes for You! Twentieth Century Fox has released a new trailer for Alita: Battle Angel, a sci-fi actioner adapted from Yukito Kishiro’s manga from director Robert Rodriguez (Desperado) and Avatar producers James Cameron and Jon Landau. 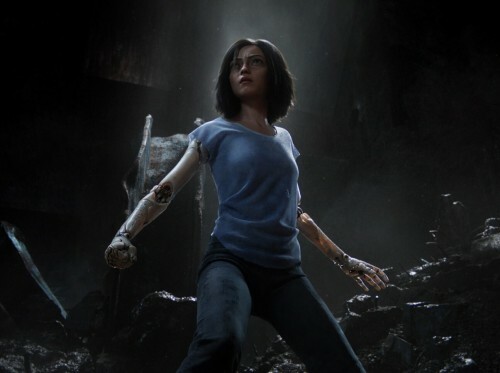 Written by Cameron and Laeta Kalogridis (”Altered Carbon”), Alita: Battle Angel stars Rosa Salazar as a disposed bug-eyed cyborg with a wiped memory rebooted by the kind scientist who finds her in a scrapyard and discovers her secret past.